The very lords of Samhain themselves. 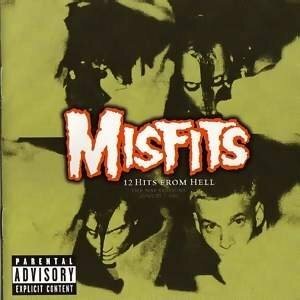 Here’s another classic example of referencing a horror classic without actually talking about the movie at all, from Shindig All-Stars and referential magicians, The Misfits. Sure, it might be called a Horror Hotel, but God knows what Danzig’s actually talking about here, because it’s not the 1963 Christopher Lee film. But that was sort of Glenn’s deal. Name a song after a classic movie and then whip up some lyrics that sort of jive with the mood that title conjured. Unless of course you’re talking about Return of the Fly, which basically reads like a Videohound entry of the film of the same name, right down to listing of its actors and characters. None of that really matters though, does it? I mean, at least not where The Misfits are concerned. Personally, I rather like that these songs are less overt in their referential nature. Something like Blitzkid’s Candyman lacks any of that artistic (?) subtlety, opting to bludgeon you with lyrics so simple and childlike, it sort of takes something away. You get none of that from Danzig and Co., and as such are gifted that wonderful space of ambiguity and interpretation. Plus, it give us the opportunity to cram that space with plenty of samples from the song’s namesakes. Couldn’t do that if they just named the song Room 21, now could we? You wanna start somethin’ with me…? Is it the ultimate Halloween song? Well, in certain circles, I’m sure it is. 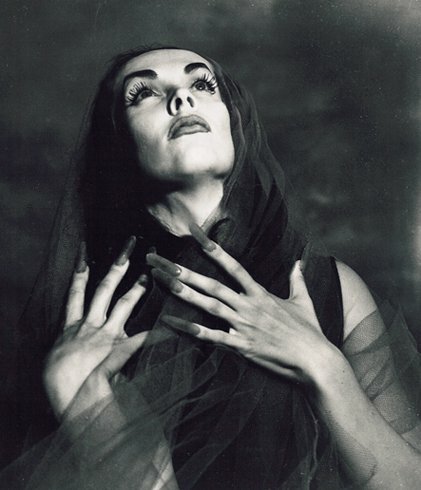 If John Zacherle is the grandaddy of Horror Hosts, then Maila Nurmi is their mother goddess. Back in 1954, The Vampira Show was the first program to feature a spooky host introducing (and mocking) old B-movies. Though only on the air for about a year, Vampira’s mark on horror culture can still be felt today , particularly tooling around Tumblr, where her image is ever present. Vampira is the embodiment of the classic horror image. Young fangirls still want to be her, and young fanboys still want to be with her. And though nothing but a few old kinescopes exist of the short-lived program, Maila Nurmi’s legacy will forever live on with the genre. Fittingly led in by Martin Landu’s oscar-bearing Bela Lugosi, exulting Ms. Nurmi’s appealing qualities to Johnny Depp’s irritated Ed Wood. Go try on a sweater then, Nerd-o. Me and Bela here will just sit back with some morphine and enjoy the show.